← Beatles Quotes: He said what?! Last week, I got wrapped up scanning old newspapers online trying to research a topic about The Beatles for some future use. I don’t know what I’ll do with the information I’ve collected on the topic I chose, but it’s now stashed away in a folder should I ever need it. It’s kind of hard to imagine that anyone in the U.S. hadn’t heard the Beatles music by September 10th of that year considering that The Beatles had already made two visits to America and had toured 25 cities from February 9-16 and August 19-September 20. And let’s not forget that they had already appeared on The Ed Sullivan Show four times. From 1962-63, The Ed Sullivan Show averaged over 12 million viewers and over 14 million in from 1963-64 (there were just 51 million TVs in the U.S.). The worry over the Rolling Stones was a little premature, I think. It was in July 1964 that the Rolling Stones scored their first #1 song in the U.K. (It’s All Over Now), but they wouldn’t make it to #1 in the U.S. until 11 months later. In June of 1965, that the Stones hit number one with Satisfaction on the U.S. charts. And truth be told, the Stones were from the upper-crust of London, while the clean cut Beatles heralded from the lower-middle class of Liverpool. Obviously, you couldn’t judge a bad boy musician by the length of his hair…just look at Beethoven or Liszt! Anyway…enjoy the article! I hope you get a couple of laughs out of it. I know I did. “We came down to London and spent a lot of time just looking in shop windows. You would go along the King’s Road and you’d see a great shirt, or a great jacket or something. By now we were starting to earn money, so you would buy those things and then you’d see guys in other groups who would be like, ‘Where did you get your shirt man? Cecil Gee? Ah right, OK! !’ You’d trade information. But the thing is, it wasn’t so much that we were following fashion, so much as being part of it. It wasn’t like we were following a trend; we were in the trend. I enjoyed the article you posted. The grownups worrying about these longhair upstarts. As long as you’re collecting Beatles facts, I might have one you may not know. The Beatles were invited to be on the Ed Sullivan show in September 1964, since they were in New York at the time. But Brian Epstein was demanding too much money, so Ed said forget it. It would have been nice if they had played for the same rate as they did in February, as a show of gratitude to the show that helped them explode in the U.S. I think I read this in a book on Ed and his show years ago. Tomsense, how strange it is, that the artist should offer to take less pay, from a very succesfull money generating machine? and by the way… Ed Sullivan would have benefitted from another Beatles’ performance. 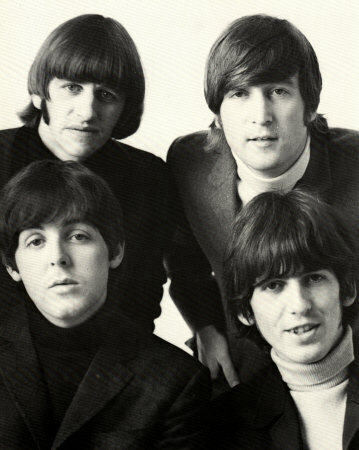 The other way around depends on where the Beatles wanted to go with a development of stardom and image. What is clear is that Epstein was the opposite of what most in the business thought at the time, including the Beatles temselves… we are a fad, and it can be over tomorrow. Epstein kept on building and bjuilding momentum towards bigger stadiums, but that was only in 1965. I am sorry I think it is capatilism in the worst way, to expect The Beatles to give up their money and the organizers and those who sold their tickets to us kept on making the bigger money. The workers should satisfy themselves with lower wages… familiar stuff.